We are the official FeiyuTech exclusive distributor. If you are unsure who is the authorized reseller of Feiyu products, please check with us. All our Feiyu products come with 18 months official FeiyuTech manufacturer warranty. 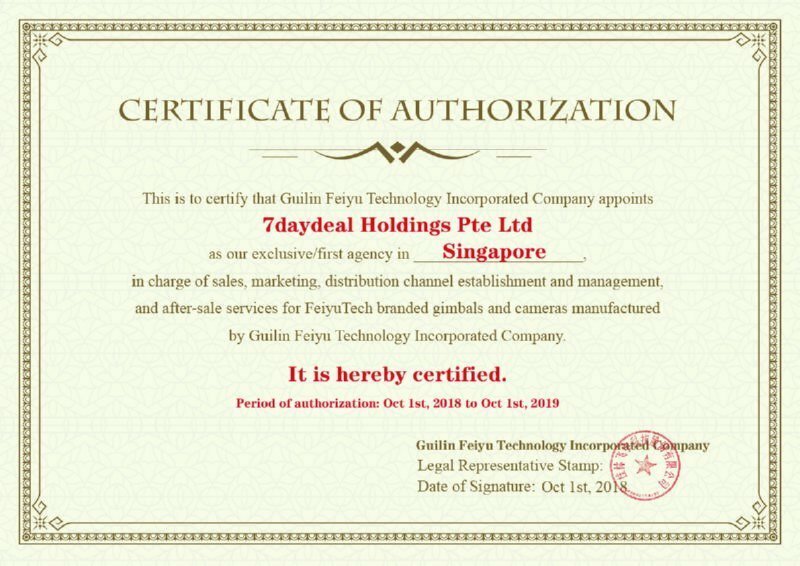 Local 1 year warranty offered by other resellers will not be recognized and serviced by FeiyuTech. The Feiyu WG2X is a wearable and mountable 3-axis gimbal stabilizer without the standard handle. 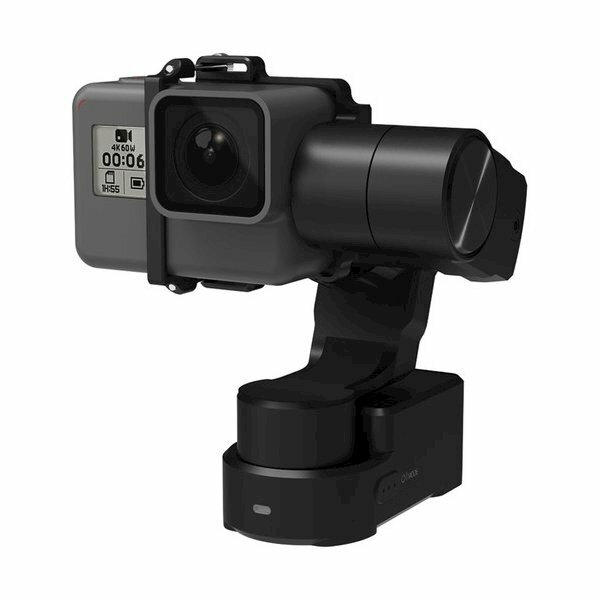 It's designed for action cameras and directly supports the GoPro HERO7 Black/Silver/White, HERO6 Black, and HERO5 Black, as well as a variety of other cameras of similar shape and size including the HERO4, YI Technology 4K/4K+, and select SJCAM and AEE models. It also supports the GoPro HERO Session via an included adapter and the Sony RX0 via an optional RX0 adapter available from Feiyu. The WG2X is a follow-up to the WG2 but features an angled motor arm that leaves the camera LCD unobstructed. The WG2X also weighs slightly less and has a shutter button and mode button at the base in addition to a power on/off switch. Also, while the previous model can be used in up to 1m of water for a short while, the WG2X is designed to be splash-proof only, for those misty wet weather conditions. The WG2X can be used mounted on your person, such as on a helmet or chest support, and also on remote supports such as a desktop tripod. It also works great in balancing the camera when attached to handlebars and selfie sticks. It attaches via a 1/4" threaded mounting hole on the bottom.